These itchy fungi are unpleasant, but don’t worry — the resulting infection is easily treatable. About 1 in 5 people will catch ringworm at some point in their lives. In healthy people, this infection is itchy but not serious and easily treated with an ointment. However, in the very young or old or for those with weak immune systems, ringworm can be more worrying. Pets are a common source of infection for people. Despite the name, ringworm is a fungal infection and has nothing to do with worms. The fungi most commonly involved are from the microsporum or trychophyton family. These are widespread in nature, including in soil. So when our pets go digging or rooting around in the garden or woods, they risk picking up this infection. People can acquire infection directly by touching the fungus on a fence post or stroking an infected dog, or indirectly from contact with infected hairs shed by their dog or cat. In healthy people, our immune systems fight the infection and keep it under control. The most common sign of ringworm infection is a red, ring-like sore on the skin, which sometimes looks silvery. This is often on the hands from touching infected materials or arms and legs. Ringworm can be itchy, and scratching will break the skin’s surface to set up a secondary bacterial infection. As mentioned above, for children, the elderly or those on chemotherapy with a weak immune system, infection can be both more widespread and more serious. Therefore, if you suspect ringworm, it’s important to see your doctor and get your pet (as a possible source of infection) checked by the vet. Paws and faces are commonly infected as a result of digging or sniffing. This starts as a patch of hair loss, especially around nail beds, which gradually gets bigger as the neighboring hair shafts are contaminated and fall out. The typical appearance of ringworm on a muzzle is a bald circular patch, a little target on their nose. Stray animals, especially puppies and kittens, are at risk because of poor health and bad conditions. The typical ringworm kitten has patchy hair loss and scaly skin, often on the face and ears. 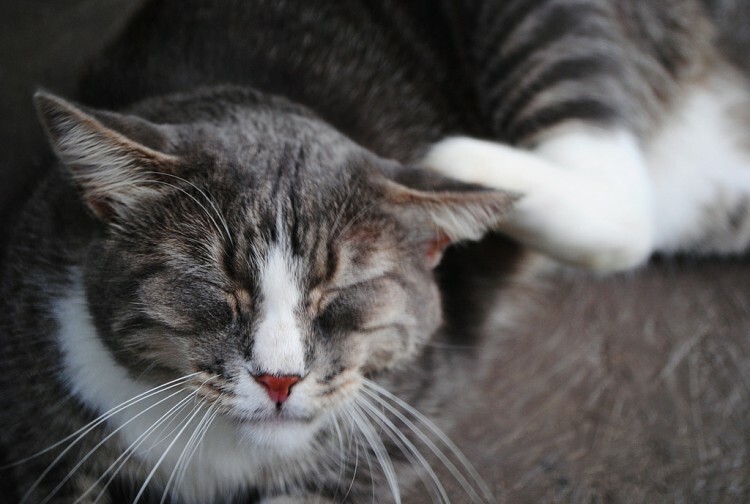 Outdoor cats are at greater risk than indoor cats because of their exposure to ringworm in the environment. However, Persian cats have a bizarre weakness when it comes to ringworm and seem especially prone to picking up infection. Not only that, but also the fungus seems to invade more deeply and can cause raised, black lumps in the skin, which can be mistaken for cancerous lumps. The natural home for this fungus is wrapped around the hair shafts deep within the hair follicle. This damages the hair, which is then shed and falls out. But each shed hair is heavily contaminated, which makes it a ready source of infection for the next person, cat or dog that happens along. Indeed, ringworm at a certain phase in its life cycle can survive for 18–24 months in the environment to act as a possible source of infection. 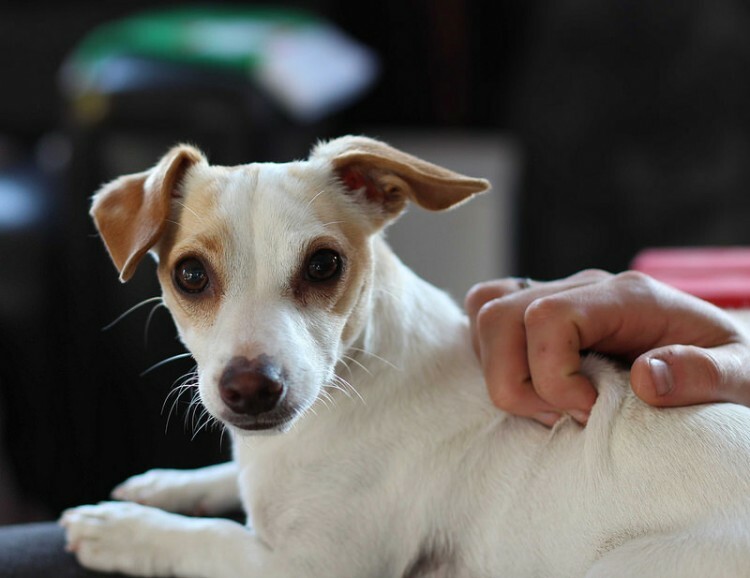 Should people with pets be worried about ringworm? The short answer is no, but it pays to be vigilant. If you have skin lesions that could be ringworm, see your doctor — a simple cream or antifungal medication should clear it up. Prevention is a matter of checking your pets regularly and getting bald patches checked by the vet. There are different ways of diagnosing ringworm, but the most widely used is by taking hairs from the pet and looking under the microscope for signs of fungi wrapped around the hair shaft, or culturing the hairs to see if the ringworm fungus grows. Around 50% of ringworm fungi glow fluorescent green when viewed in a dark room with a UV lamp (a Wood’s Lamp or black light). This can give a quick positive if the patch lights up green, but an absence of glow is no guarantee the pet is clear. If a pet is diagnosed with ringworm, depending on how widespread the infection is, the vet may suggest shaving off the fur. This reduces the amount of hair shed in the home. To decrease the risk of passing infection to other animals, perhaps isolate the pet. Treatment for cats and dogs commonly means an antifungal shampoo and either tablets or an oral liquid form of antifungal medication. Don’t become paranoid about ringworm and your pets, but seek help early from your doctor and veterinarian to prevent a bigger problem from developing.